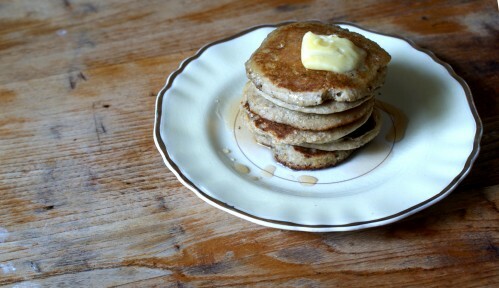 I’ve made breakfast for a lot of people at The Breakfast Club – here are my favourites. 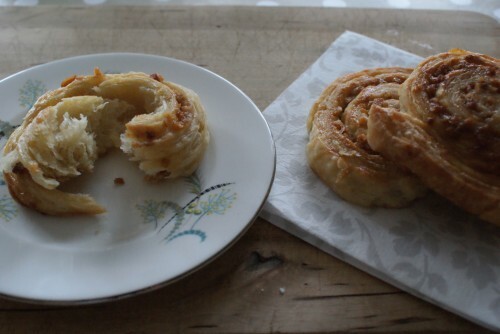 Finally, I found the perfect cinnamon bun/breakfast pastry recipe. 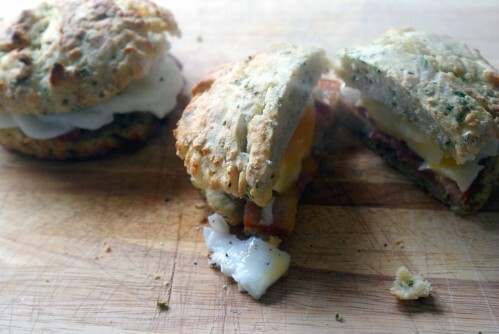 Savoury scones, flavoured with cream cheese and chives, split and filled with bacon and a poached egg. 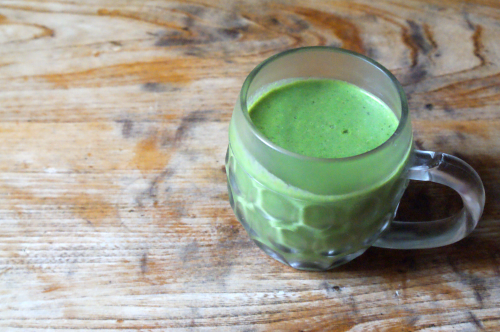 You could also make mini versions and fill them with cream cheese and rocket for an afternoon tea or maybe avocado and roast tomatoes. 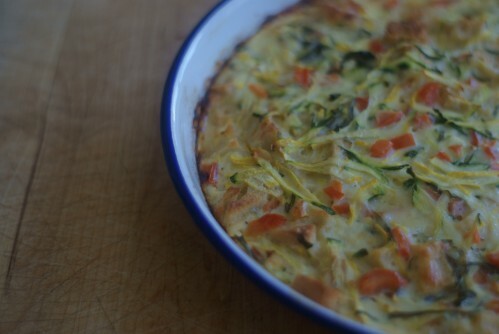 A really easy breakfast bake, perfect for using up lots of courgette. 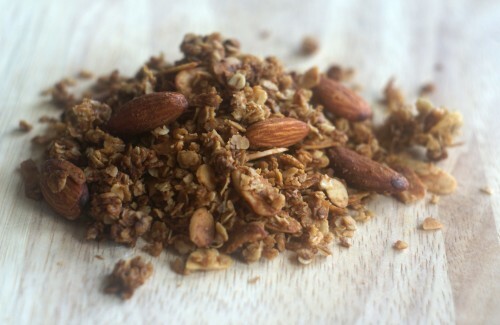 A really good granola recipe – full of almonds, coconut, honey, cinnamon and vanilla. 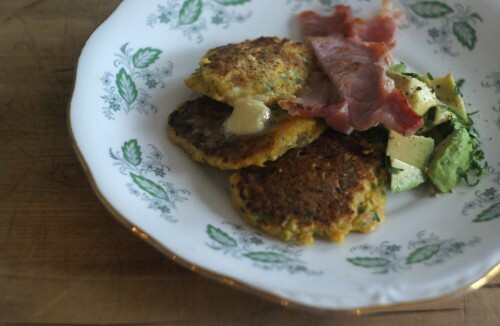 For these pancakes, I blend the sweetcorn in a food processor for a smoother texture (not completely puréed though) and added lots of flavour: coriander, garlic, chilli. Think buttery, flaky pastry filled with crunchy almond praline. 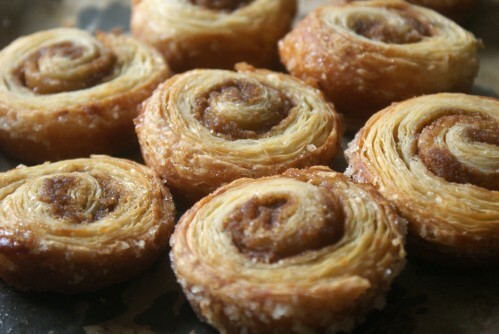 The caramel melts and oozes out of the pastry when they bake creating perfect little crunchy corners. This is a a North African take on baked eggs, heady with saffron. Creamy mushrooms on toast are the perfect brunch dish, the only stipulation I have is that the bread be very good, preferably of the chewy, sourdough variety so that it can soak up the sauce.